The Vikings were a group of warriors whose helmets could be truly varied. Some were simple, some were not. And this Viking Spectacle Helmet falls into the latter category, combining several features into an impressive and protective piece of headgear. This version of the spectacled Viking helmet features a series of crossed reinforcement straps that are welded the helmet's base. And given that the helms base is constructed from 16 gauge steel, the helmet already sounds to be quite the defensive piece. As its name implies, the helmet also features an eye guard, which features an integrated ridged nasal guard, as well as various levels of riveted decoration. The effect of added ridging and riveting enhances the helmets overall look, while also going a long way towards making the helmet more defensively sound, too. The helmet's interior features full leather suspension lining, as well as a chinstrap that goes a long ways towards keeping the helmet on your head. 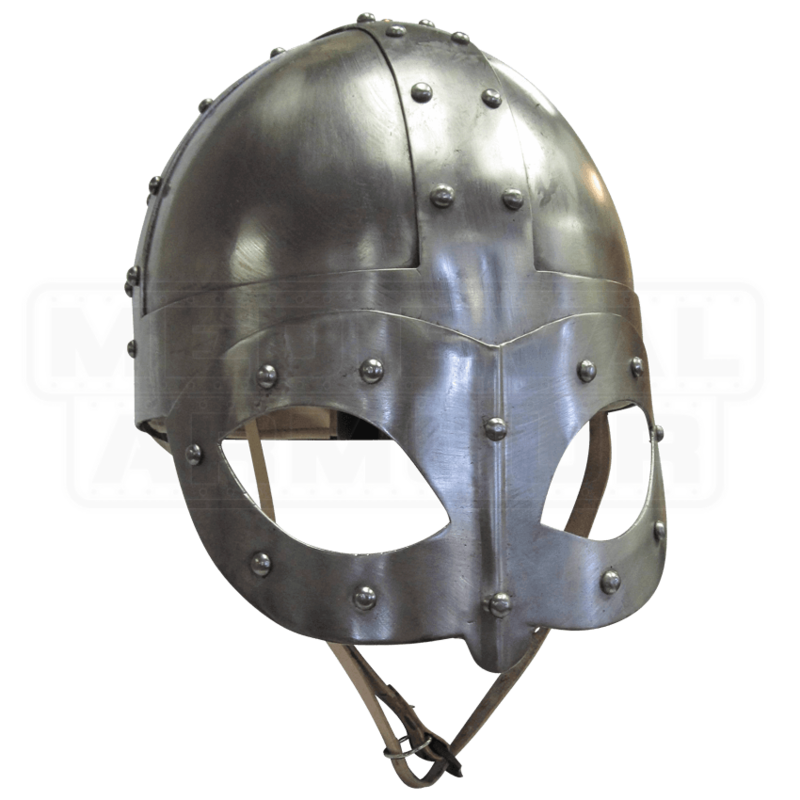 Intimidating and impressive as well as protective, this Viking Spectacle Helmet is a great choice when you are looking for a stunning new centerpiece to include your collection (do not forget a helmet stand!) or if you require a fearsome form of head protection to wear into your next battle or event.